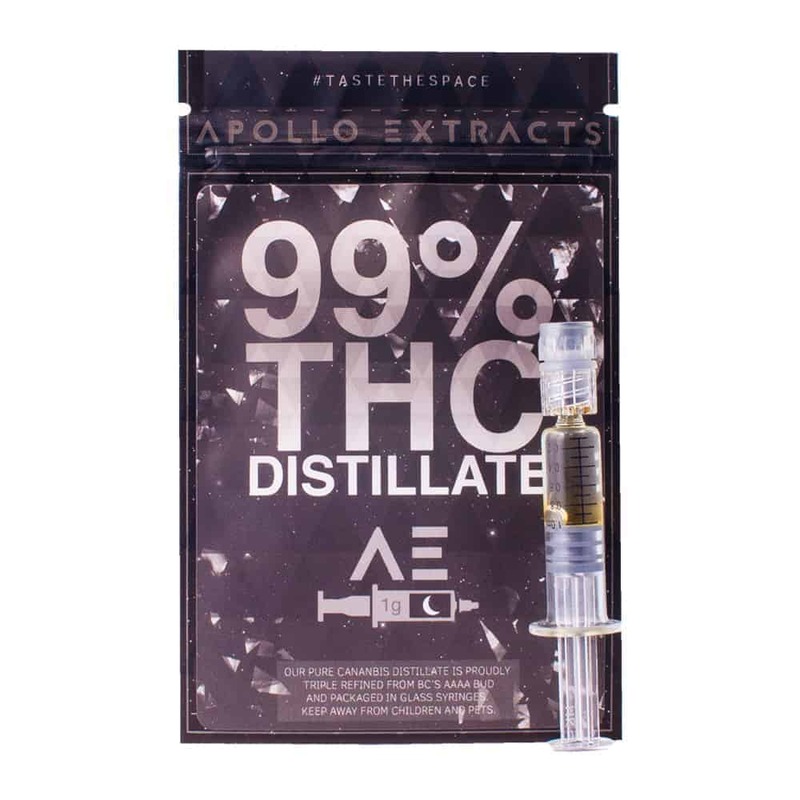 25 reviews for "Apollo – 99% THC Distillate ~1000mg (1ml)"
Great distillate! I have not tried many products that I would label not for beginners but this is one of them! Their is no taste or smell and the smoke is always so smooth. The syringe it comes it is a little hard to use because of the consistency but once you get smoking it you totally forget the struggle … or forget everything ! would recommend and buy again, it hits you nice! I like it, I like it a lot. No smell whatsoever, very strong high that creeps on me like a tiger stalking and wham then it dawns on ya. Very stoned but energetic, stress free cause of DABS of three. Now on my list favorite’s! Mind-blowing quality! This distillate is the reigning king of concentrates. Purely neutral taste and odor, but the consistency is akin to thick molasses or even a wax, you will need to heat it before extracting it from the syringe. It’s worth the effort, the effects are almost sub-psychedelic. Try one drop on the tongue, followed by a drop rolled in kief and smoked in a bong cushioned with bud. This stuff is nice and clean. Strong buzz but it is almost impossible for me to get this out of the syringe even after heating. I’m taking it for pain in my hands so I would appreciate another way to package it!! I can only use it when a friend comes over but its worth it. Orally or smoked, you won’t be disappointed. I’d suggest a dab of both. Very glad I ordered this, the service was very prompt. just two days. this distillate is very potent and vapes great in my vape pen. be warned though. it is very thick and needs to be heated slightly. Not for beginners! Warm up the syringe in your hands for a few minutes to make it easier to work with. The product is really thick maybe try using a lighter against the syringe over all it’s pretty good. Great stuff most potent I’ve ever had I vaped it and did dabs with it, only thing like others have said it is thick but run it under hot water works great. Really good oil. Very clean and potent. Best I’ve ever had and that is saying ALOT! I suggest you heat up the syringe and empty it into a silicone container. Makes it way easier to handle. One of my favourite items! It’s great on a paper or in a pen! Gets you messed up! Great high! Oh my God. Ordered this a while back and it knocked my socks off. I actually wasnt a fan with the high potency, found it harder to make the distillate last. Other than that it was incredible, smooth and the high was amazing. Great stuff!! Top shelf product. I found that putting the syringe in a cup of hot tap water for a minute or so makes the product come out of the syringe a breeze, cause trying to squeeze it out whilst cold is near impossible!! I’ve had a lot of distillate. This is the cleanest, smoothest, and clearest of them all. No cannabis smell or taste whatsoever. Warning, big thicc.